What strategy will help Coca Cola and McDonald’s continue to Grow? McDonald’s and Coca-Cola, two of America’s most iconic brands were the focus of the January 2015 discussion. Why pick on them? The market has been digesting repeated disappointments over quarterly earnings and fueling speculations about their future. The availability of ample data and a broad set of analyses serve up a perfect opportunity to further our own understanding of the strategic challenges related to sustaining growth. Once you decide whether your organization will be a cost or benefit leader, aligning your resources and messaging becomes simpler. Price doesn’t fully substitute for quality, and consumer preferences are not always consistent. An organization’s successful growth demonstrates it’s priorities and reflects its consistency to deliver on its commitments to customers and their preferences centered around price or quality. 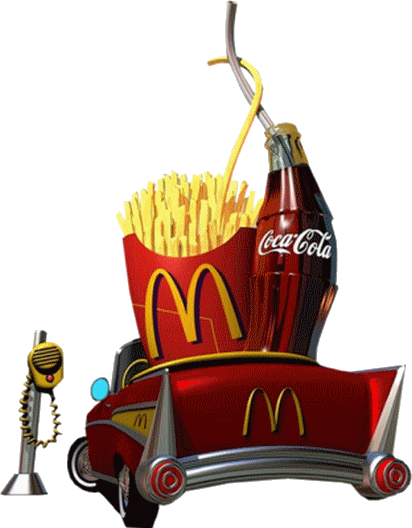 McDonald’s and Coca-Cola sensibilities and capabilities embody the management principles of post war industrialization. The hallmarks of efficiency embodied by these two brands commanding distribution networks reflect their unwavering commitment to quality, consistency and convenience. Each however has defined value differently in the eyes of their customer which further enabled their brand’s rapid, organic growth. McDonald’s initial automation and efficiency enabled it to deliver meals affordably, conveniently,consistently in an atmosphere that maintained a high standard of cleanliness equal or better than its competition. In 1953, these standards proved themselves effective differentiators. Coca-Cola chose to deliver on the benefit side, historically limiting its physical assets and focusing on relationships, advertising and consistency around quality. Operating within the boundaries of these original value proposition, both brands performance over time demonstrates how their responsiveness and sensitivity to regional differences and changing customer sensibilities allowed them to continuously add value and grow. Each brand’s commitment to experimentation and innovation proved central to fueling organic growth. Further, their individual strengths allowed them to leverage new ideas, even when introduced by competitors. For each, their share of successes also included colossal failures. 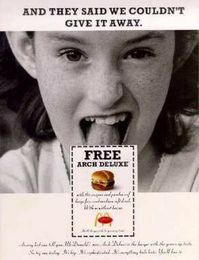 Who can forget New Coke, or McDonald’s Arch Deluxe? Per Daily Finance.com these two were the #1 and #4 biggest product flops of all time. Both however learned from these experiences and were quick to renew the good faith of their customers and keep growing. The value defined by their strengths, brand status advantages and considerable market dominance delivered significant success, but now cloud their vision and impede their path to future growth. After all, what’s really left for them to tweak? What haven’t they tried and learned? Both companies continue to demonstrate long term value for their shareholders. Each provide great capital returns and margins. 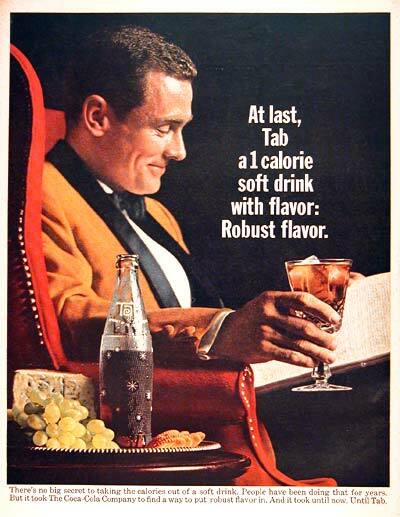 Coca-Cola has paid a rising dividend since 1963 and has a current yield of 2.88%. McDonald’s has paid a dividend since 1976 and has a current yield of 3.72%. Each holds the leadership position in their category, continue to show signs of forward thinking and planning at levels of coordination and integration that few companies achieve. Their initiatives, irrespective of success rates are also lessons and templates offering competitors a looking glass into the future. The strengths of these two brands and value propositions sound good for McDonald’s and Coca-Cola. Their future growth however depends on just how they renew their efforts and focus and capitalize on their key strengths. The forward position challenges you to see and respond to changes in your business environment faster. Their sheer size and market share visibility also make both more vulnerable to wider market pressures. Especially in the U.S., where both companies current experiences and declining sales volume indicate they somehow misread the significance of changing American attitudes around nutrition and choice. For example, the 3% decline in 2013 of the entire carbonated drink market in the U.S. hurt both companies’ sales. For Coca-Cola, the emergent energy drink category displacing their sales creates challenges for which they have not had an effective response.Similarly, the alternative fast growing Fast Casual category represents McDonald’s biggest threat. Further growth in this category limits further expansion in the corresponding Fast Food category, and McDonald’s too has yet to effectively compete. In addition, both new categories prove highly appealing to millennials whose behavior and preferences some analysts contend prove influential to other segments. No wonder both brands chose to leverage their considerable resources around what they know. Each reportedly are investing $1bilion in advertising in efforts to re-establish awareness among this key market segment. In Contrast, McDonalds estimated brand value of $42.2 billion increased only 1% over 2013 reflected its slowing growth and dropped it to #9, down from #7 position it held in both 2013 and 2012. (Note the distance between these icons and their nearest category competitors shown for comparison). The marketplace loves a good story of failed leadership. When the mighty fall the press and public are quick to pounce and in some ways, fresh eyes and alternative experiences and optimism may prove more than beneficial. Will activist investors get their way? Then again, in taking a close look at the fundamentals of size and respective asset valuations our disccusants were reminded of the difficulties around sustaining organic growth. Below you’ll find the participants takeaways following our most recent discussion. Read the articles, see if you agree. After our usual wrap-up, you will also find a series of simple questions we plan to raise with a few folks with deeper knowledge and a more intimate understanding of McDonald’s. We will post their responses when they arrive. The one size fits all notions that produced cookie cutter efficiency and passed on volume savings to maintain quality suited the growing quick service restaurant category, when there were few comparable alternatives. Today, the US market especially its urban centers, reflects far greater diversity in the category. The growing variation along the price value continuum illustrates the market’s response to changing attitudes, palates and preferences of consumers as well as differentiating perceptions. Use your strengths to build alternative restaurants, maybe tailoring them to regional preferences and further diversify your portfolio holdings. Separate the brand from the occasional value meal inspiration. Sure everyone appreciates getting the best value for the lowest price, but it’s difficult if not impossible to deliver differential value messages within the same location as in the value meal combination vs. purchasing off the dollar menu. Turn your attention to differentiate your value relative to your competitors at similar price points. The strengths that prove appealing to shareholders don’t indicate your understanding of individual customers. Declining customer counts along with infrequency of return visits suggests the absence of resonating experiences necessary to meet the demands of the increasing segmentation within your broader competitive category. How can you continue to benefit from your existing strengths? Pare down your menu further to deliver the essentials of what your core customers want, assuming you really understand who that is. Once you do, use a loyalty program to reward them and keep closer tabs on their responses as you continue to test. If increasing customer price points is key to your growth equation then you also need to offer higher value for the price in order to avoid losing the core brand identity. Obviously in rural areas where the choices are fewer, you retain a firm grip on the market and can delay changes. Unless the $1 menu, or $1 menu plus offers acceptable margins you may need to find alternatives to pass your volume discounts on to consumers. Separate supply and demand functions as you manage the business going forward. The benefits from your superb asset management capabilities on real estate, currency risk and supply chain have been impeccable and thus puzzling to watch your miss on the demand side. Are there lessons in creativity and management that could prove helpful? The proliferation of segmentation in the marketplace let alone in your customer base requires a more innovative approach than mere brand building activities offer. In focusing on the customer experience you may miss aligning around your core identity. Another reason it may pay to try an alternative diversification strategy through new restaurants, concepts that don’t compromise but complement the existing franchise. One of the problems of being so big and maintaining a healthy distance from your nearest competitor means you were insulated from the small ripples of changing sentiment that others were quicker to seize upon. Your crumbs became their meal and growth ticket. In order to get out front again, you may need to get much closer to your customers, and surprise them, delight them or even choose to get cozier with your competitors again to find a way to grow the category together. Concluding remarks: We know we didn’t discuss Big Data or social media or even mobile so there’s plenty of things we missed in 90 minutes. Please, share your suggestions or comments on what you find to be effective growth strategies for market leaders who seem to have hit the end of their runway. We’d love to hear from you.